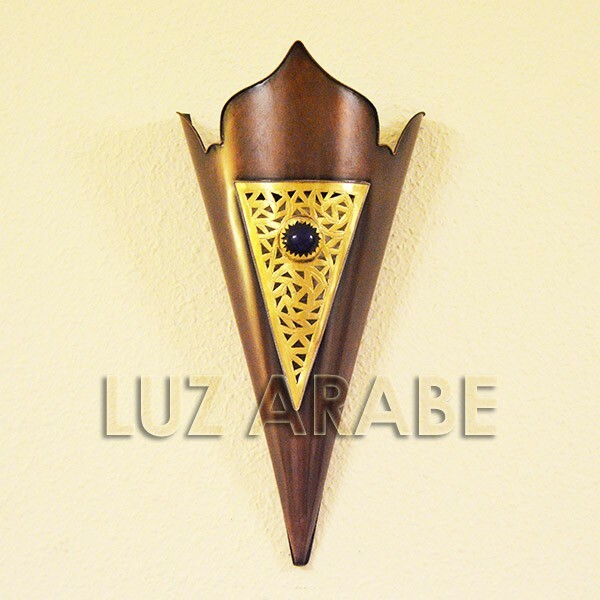 Large torch shape wall sconce of pierced bronzed metal inlaid with pierced copper. 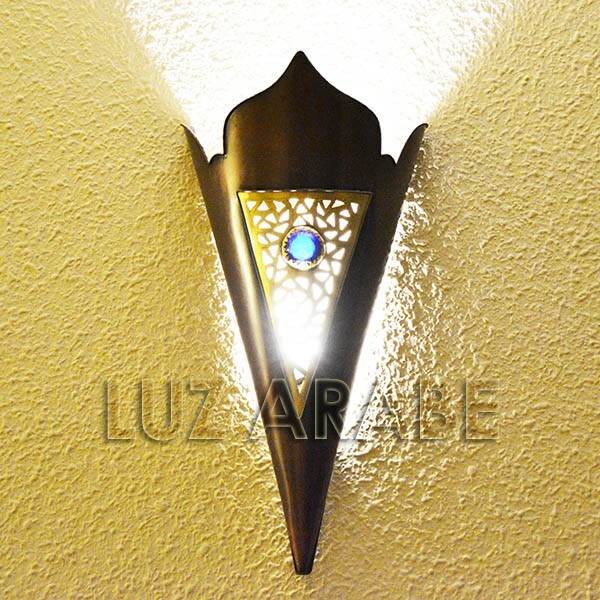 Torch shape wall sconce of pierced bronzed metal inlaid with copper with blue cristal rock, arabic style. - Wall sconce of pierced bronzed metal inlaid with copper with blue cristal rock. 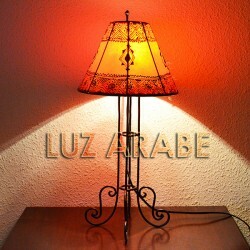 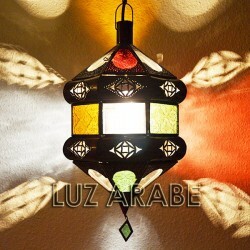 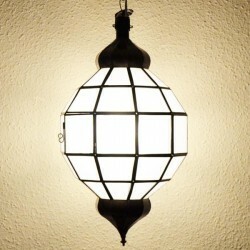 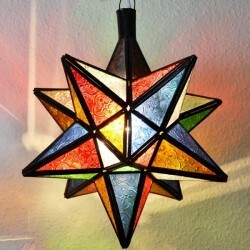 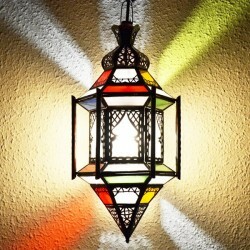 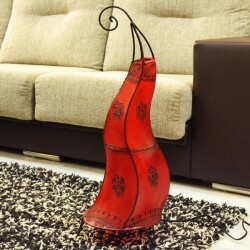 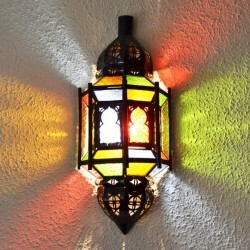 Light is a very important element in the decoration of the Arab world. 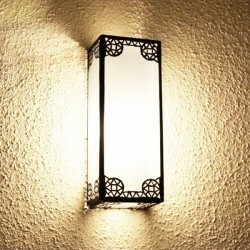 This torch shape wall sconce of inlaid copper will introduce a set of indirect lights creating a very elegant effect.